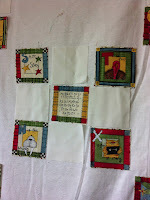 Although it feels like I've been spending more time outside the sewing room than inside, I am getting a few things done. Because summer is a difficult time for me to get motivated to sew, I am trying to pre-cut a few projects so that when I have an hour or two, I can just get right down to sewing. Someone had gifted me with an alphabet panel and an assortment of scraps of the same panel. 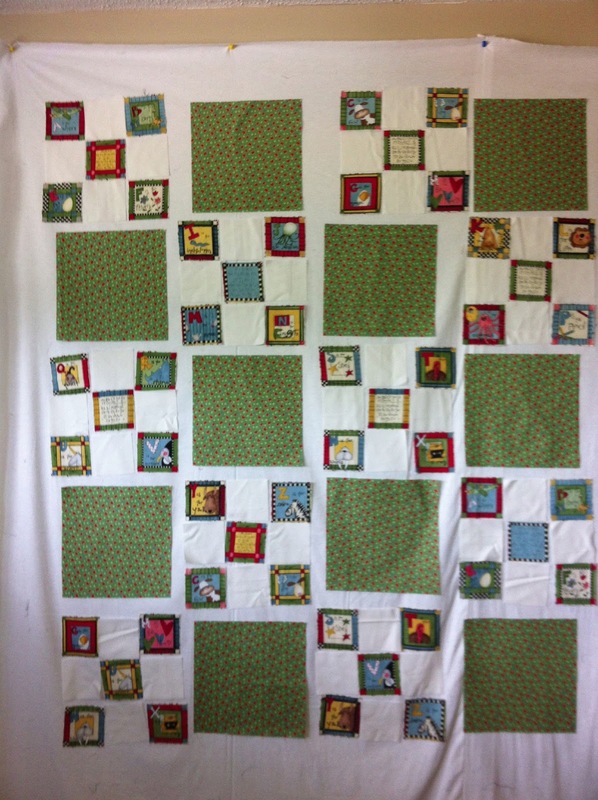 I carefully cut out each letter, found a green print to go with it and some off-white squares to finish the 9-patch blocks and set aside the pieces I cut for sewing on another day. I have lots of scraps and they are stored in a large Rubbermaid tub. (Any quilter should have shares in Rubbermaid!) These are destined to end up in scrap quilts and occasionally, I will take some out and do some sorting. If the pieces are bigger than 5x5, I'll just fold them neatly and store with similar colors along with the fat quarters of the same color. Strips are sorted by width - less than 2", 2" and 2.25", and 3". 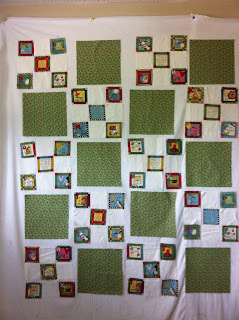 Strips less than 2" are separated out and put aside for string quilts. 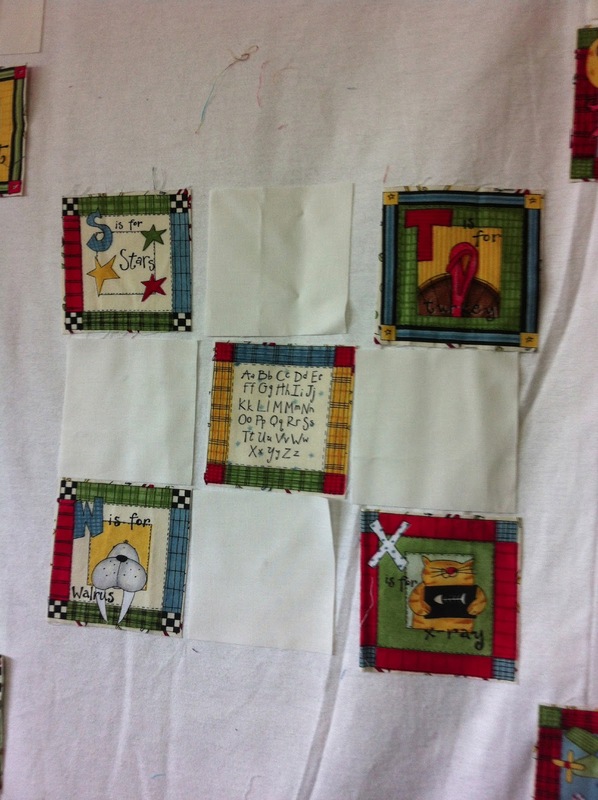 Smaller pieces of fabric are cut into 2.5", 2" and 1.5" squares. How do you sort your scraps? What's the smallest piece of fabric you save? Inquiring minds want to know! I've been saving any size that will handle a seam and still show some material ( some are pretty small) I intend to do a scrappy mug rug or something with them all. by just randomly adding them to a patch. Love my rubber maid storage bins. I just bought over a dozen new ones to put all my scraps in and yardage of the same colors. One purple, turquoise, pink, grey blue and so on!! Now I feel I am organized! LOL This was just for my batiks.